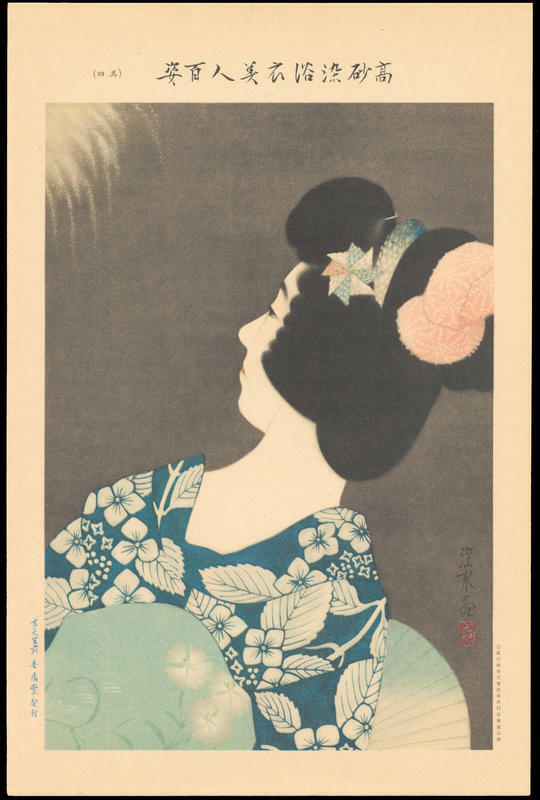 Shinsui, Ito (1898-1972) "No. 4- Fireworks" - Machine Printing - Chinese and Japanese woodblock prints for sale, silkscreen, scrolls, watercolor, lithographs. Artwork Details for Shinsui, Ito (1898-1972) "No. 4- Fireworks"